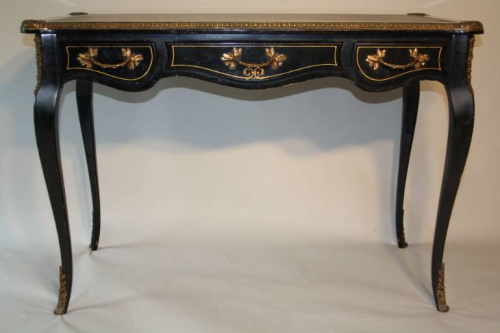 An elegant black lacquer and gilt metal Napoleon III style bureau, with 3 front drawers and tooled black leather top. Some fading to the gilt tooling on leather. French c1950.